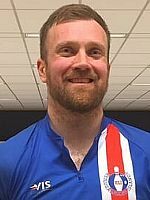 Arnar Davið Jónsson of Iceland stayed atop the leaderboard in the Odense International as the 111-player field from nine countries was cut to 36, who advanced the final at Odense Bowling Center in Denmark on Sunday, September 2. 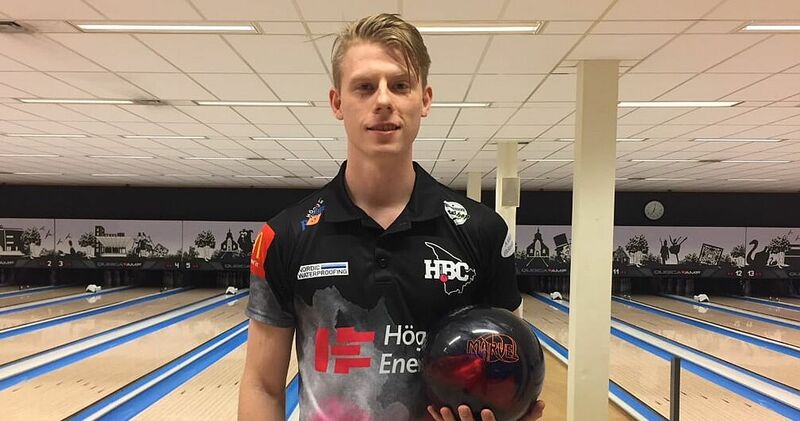 Jónsson (featured photo and right) won the qualifying with 1337 total and an average of 222.83, including games of 223, 197, 225, 232, 203 and 257. Steffen Tang-Petersen (left) of Denmark remained in second place with 1331. 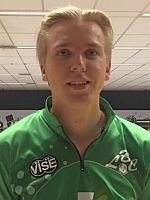 Robert Lindberg (right) of Sweden made a run at the lead in the first of three squads Saturday, 11th overall, but he finished 18 pin shy, moving into third place with a 1319 total (219.83). 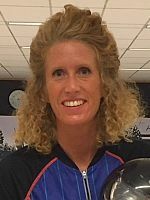 Mai Ginge Jensen (left) of Denmark , who led the qualifying from Sunday to Friday after posting 1304 in squad 2, improved by 10 pins in squad 12 but slipped another spot to finish in fourth place with 1314 total, including eight pins handicap, an equality handicap provided to women in all European Bowling Tour events. Jensen was the best of 28 women in the field and one four, all from Denmark, who survived the qualifying cut. 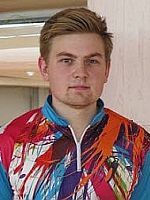 Patrik Jannik Sørensen (right), also of Denmark, led the final qualifying squad with 1192, which was 19 pins short of the cut, yet qualified for the finals in 22nd place with his high series of 1212. Gunnar Þór Ásgeirsson (left) of Iceland took the 24th and last place to advance from the overall qualifying standings with 1211 and an average of 201.83. The top 24 will be joined in the finals by another 10 players who got a free pass into the finals through early bird, youth, senior and Turbo games brackets. 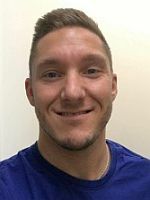 Heidi Guldbæk and Mathias Grønne Ankerdal of Denmark took the last two spots by rolling 238, including handicap, and 224, respectively, in the Desperado Squad on Saturday evening. Qualifying (six games, unlimited re-entries) ran from Aug. 26 to Sept. 1. Women receive 8 pins handicap each game, an equality handicap provided to women in all EBT events. Maximum score is 300. 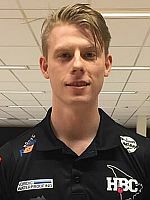 Total 36 players qualified for the finals, including the top 24 players from the overall qualifying standings, the top two players each from a separate leaderboard of squads 1-4 and 5-8 plus the top two youth (Under-20) and top 2 senior (50 & over) bowlers, all outside the top 24, as well as one player each from the Turbo 1 and 2 ranking and the top 2 players of the Desperado Squad. The top 24 players from the overall qualifying standings, the top two players each from a separate leaderboard of squads 1-4 (places 25 & 26) and 5-8 (places 27 & 28) plus the top two youth (places 29 & 30) and top 2 senior bowlers (places 31 & 32), all outside the top 24, as well as one player each from the Turbo 1 and 2 (places 33 & 34) ranking and the top 2 players of the Desperado Squad (places 35 & 36), advance to the finals on Sunday, September 2.